It’s always been my dream to start a blog series that would go until the end of the season. This is one blog in that series, and I will answer for my predictions next week. A win is a win. That is what I keep telling myself about last week. At the end of the season, you will only remember that the Patriots won, not that it came down to the last play. I really would have liked to see the offense take the clock down, refusing to give the ball back. Or the defense making sure it didn’t get close. Obviously neither of those things happened, and there is a lot to improve upon. Otherwise, it’s nice to get a W when you don’t play your best. Anyway, after a little bit of a break, the Patriots are set to have their first AFC East game. The hated Jets will host in the Meadowlands. There is no shortage of history between these two teams, so I won’t exhaust you with the details. Just remember that Belichick likes to SMASH these guys whenever he can. I fully expected the Jets to be the opposite of the Patriots this year. We would finish 19-0, they would finish 0-16. Its kinds funny how neither of those things happened and we now meet at 3-2 fighting for first place. The Jet’s 3-2 record is misleading though. These guys STINK. Their offense has more injuries than it has impact players. Josh McCown is having a nice little run, but they look non-functional all too often. The defense is a shadow of itself from the Rex Ryan years. It’s funny how bad the Muhammad Wilkerson contract looks at this point. They also shipped off Sheldon Richardson for a draft pick. The Jets do have a few impact players on defense. Leonard Williams is one of the best in the league, and their new safety Jamal Adams is a playmaker. Something to build around maybe? I am really hoping this is a game we can take a hold of early. This is the fix-it game. This is the one that really goes our way, and we point to in February and say, “Thank GOD for the Jets”. Prediction: Josh McCown throws for under 300 and does not finish the game: The Patriots defense obviously still feels it has something to prove. I think it’s gonna be a long day for Josh McCown. My prediction is that we snap the streak of 300 yard passers (Everyone who has played the Patriots has done this) and we will get a first look at either Bryce Petty or Christian Hackenberg. Why? Because that is what you do when you are a terrible team and are down by a lot. Prediction: The Patriots are flagged less than 5 times: This is also where the Pats need to fix their penalty problem. Besides injuries, I have that as their biggest issue through 5 weeks. A lot of those have been ticky-tack and at really bad times. Nonetheless, they need to figure it out. 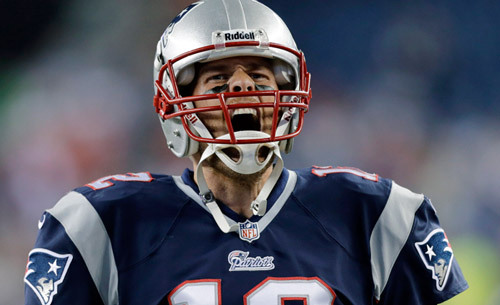 Prediction: The Pats hang 40: Pats win 41-3….LETS GOOOOOOO!